The exterior is a hard shell with a soft inner lining. Outside size: 8.5 6 13. Can be hung on the waist, can shock and rain. Color: Purple, Black. Capacity: 1250MAH. AHDBT-501 Battery for gopro 5 Battery Type: Lithium-ion battery. For the battery Color: Black. 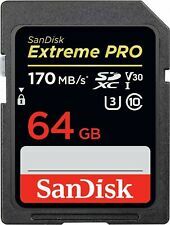 Storage Capacity : 64GB. Write Speed : Up to 90MB/s. Write speed up to. Portable External Hard Disk. Class : Class 10. Speed Class : Class 10. CPU Processor. Storage Temperature: -40ºF to 185ºF (-40ºC to 85ºC). GoPro Pole 【SmaPole】. Other GoPro Accessories. 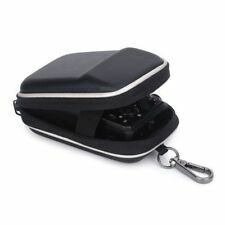 GoPro Case 【SmaCase】. Fit for Gopro HERO3/3 . Baseball Hat【SmaHat】. Assembled with high-tech Japanese cells for longer battery life and safer. 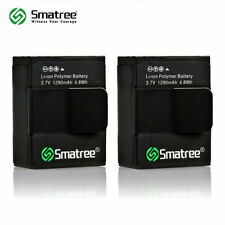 Equal or Exceed Original battery. Format: Compact Flash (CF) Standard. They are ideal for enthusiasts and professionals. Ending Soon. Country/Region of Manufacture:China. Storage Capacty:4G,8G,16G,32G,64G. New Arrival. For Canon EOS 70D. For Canon EOS 60D. For Canon EOS 7D. For Canon EOS 7D Mark II. For Canon EOS 5D Mark II. For Canon EOS 5D Mark III. For Canon EOS 5DS. For Canon EOS 5DS R.
Lining Material: EVA sponge. The pressure valve on the transport case ensures that internal and external pressure are balanced. Sealed waterproof strip, waterproof seal effect is excellent. Waterproof Shockproof. Speed performance ??. leverages UHS-II technology (U3) for a readtransfer speed up to 1000x(150MB/s). Storage Capacity : 128GB. Format : SDXC. Include downloadable Image Rescue® software to recover most photoand select video files. QUMOX Battery (2-Pack) and Smart LED Dual Charger for Sony NP-FZ100 and Sony Alpha 9,Sony A9,Sony Alpha 9R,Sony A9R,Sony Alpha 9S,Sony A9S,Sony A7RIII,Sony A7R3,Sony a7 III Digital CameraNPF-FZ100 Li-ion Battery for Sony Alpha 9, Sony A9, Sony Alpha 9R, Sony A9R, Sony Alpha 9S, Sony A7RIII, A7R3, Sony a7 III Digital CamerasBattery Specifications - Energy Storage Capacity: 2280mAh /Voltage: 7.2 volts, Chemistry: Li-ion /Wh: 16.4 wh - New fully decoded chip works just like the original. (gives time left and does not need a special charger)100% Safety Guarantee: Built with multiple circuit protection (over-charging, short-circuit, high-temperature, and surge protection), and high-quality, fire-resistant constructionMemory free for maximum performance - Absolutel. Garmin: Nuvi 200, 200W, 205, 205T, 205W, 205WT, 250, 250W, 252W, 255, 255T, 255W, 255WT, 260, 260W, 265, 265T, 265w, 265WT, 270, 710, 710T, 750, 750T, 755, 755T, 760, 760T, 765, 765T, 770, 770T, 775T, 780, 780t, 785T. Format: Compact Flash (CF) Standard. They are ideal for enthusiasts and professionals. Ending Soon. Storage Capacty:4G,8G,16G,32G,64G. Cell Phones & Accessories. iPad/Tablet/eBook Accessories. Steam Generator For Bath. Portable Oxygen Concentrator. Filling Machine. Self-Leveling Rotary Laser. Electric Water Heater&Thermost. Daily Supplies&Beauty Machine. Tea Infuser Loose-leaf Tea or Tea Bag 18 4 2cm Green Silicone Teaware Squeeze. 1 x Card Adapter. Material: Plastic. Due to the light and screen setting difference, the item's color may be slightly different from the pictures. Compatible with : GoPro HERO 5, GoPro HERO6. 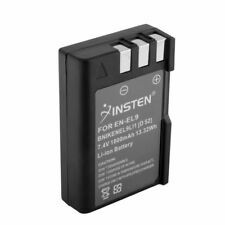 1 x Genuine Gopro AHDBT-501 Battery. Battery Type: Li-ion. A necessity for photographers. (4)Compatibility: Fully compatible with Gopro HERO 5 6 7 Black. 1) Non-reflective Design: The matte black design could eliminate reflection caused by any flashes and light on the housing surface, ensures low visibility while filming. Format : SDHC. Model : Ultra. Ultra fast ?. Up to80MB/s read speed; write speed lower. Storage Capacity : 32GB. USB Flash Drive. Portable External Hard Disk. Storage temperature: -40ºF to 185ºF (-40ºC to 85ºC). JUST LINK THE USB CABLE TO YOUR PC OR LAPTOP AND YOU WILL BE ABLE TO TRANSFER ERROR-FREE DATA TO YOUR LAPTOP / PC. THIS USB CABLE WILL GIVE YOU, ULTRA FAST AND TOP PERFORMANCE DATA TRANSFERS RATE. Materials: Lithium Batteries. SIZE: 39.55 31.45 5.9mm / 1.6 1.2 0.2in; Weight: 14g / 0.5 oz. The black 85cm tripod or light stand case from Meking is an affordable, lightweight and functional way to store or carry your tripod, light stand and umbrellas. Smooth zipper provides rapid access to your tripod and light stand. Item features: Lightweight tripod bag to protect from the damage, scratches and etc. Premium zipper to make it easier to get your tripod in and out, as well as be able to extract the tripod The fixed shoulder sling and smooth nylon lining for extra protection High density, closed cell, moisture resistant 100% brand new and high quality Size: 85cm Color: black Material: nylon Item included:. Drone racers deserve a kit built just for the demands of FPV quad racing. Form Shell™ armored side panels provide impact protection. Your FPV racing gear will change and grow as you advance. Choose a system that will adapt to keep up with your kit. If there's rain, have no fear - our newly added rain cover will protect your SLR and your accessories inside the rucksack. Rucksack with five adjustable hook and loop inner dividers. 10 Years experience. (Compatibility: For GoPro Hero5/Hero6/Hero 7 Black and Hero 2018 Edition. With 1/4” socket at the bottom, compatible with other accessories with 1/4” screw. Floating Hand Grip x 1. 3) Complete waterproof design to make sure you can get a high quality and wonderful pictures or videos while in the water. BATTERY for SONY NP-FP70. 1x Battery. COMPATIBLE WITH THE SET INCLUDES DCR-DVD: 92, 92E, 103, 105, 105E, 202E, 203, 203E, 205, 205E, 305, 403, 403E, 505E, 602, 602E, 653, 653E, 703, 703E, 803, 803E. Compatible with: 8 slots for SD/ SDHC/ SDXC 8 slots for Micro SD(Aluminum Card Case Only, SD card not included). Slinger Digital Storage Aluminum Case for Eight SD/MMC Secure Digital Cards. Aluminum case for Secure Data cards. Fujifilm Finepix X30 X-S1 X100 X100T X100S F31, F31 fd, F31fd F30, F30 Zoom. FUJIFILM DB-90 BC-95 X100 F30 F31FD 3D W1. For Fuji NP-95 NP95. Battery Type : Li-ion. 2 x Battery.